Selling is all about building relationships, especially when it comes to solution selling. If a customer decides to buy a product or “solution” to address a specific problem, and during the sales process you make a number of claims and promises, then your reputation depends on fulfilling those promises. You want to maintain that relationship beyond the sale, not only because it’s important to keep the customer satisfied, but also because it could mean references for future sales: Research shows that people are four times more likely to buy when referred by a friend, and customers obtained through referrals have a 37 percent higher retention rate. If you are engaged in solution selling, it’s your obligation to deliver and architect that solution to ensure a smooth post-sales transition. You want to extend your customer relationship, and reduce churn. Providing superior customer service promotes customer satisfaction, which can translate into future sales opportunities. Studies show that the probability of converting an existing customer to make a new sales is 60 - 70 percent, as opposed to 5 - 20 percent for a new prospect. The cost of retaining customers is also substantially lower than bring in new business. It generally costs five times more to attract a new customer than it costs to keep a customer, yet 44 percent of companies focus their efforts on customer acquisition while only 18 percent focus on customer retention. What’s more, 60 - 80 percent of customers who say they are satisfied do not go back to the same company because they don’t feel connected. Customer loyalty requires nurturing and reminding the customer why they came to you in the first place. The best way to promote satisfaction and build that sense of connection is to make the transition from prospect to customer as seamless as possible. This process starts by setting expectations. Most important, be sure to set appropriate expectations with the customer from the outset. As you establish a relationship with your buyer, be clear about your role post sale. Assure the customer that you will be there for support, but that others will handle day-do-day fulfillment; explain who those individuals are, and make any necessary introductions. The same applies for your in-house support team. 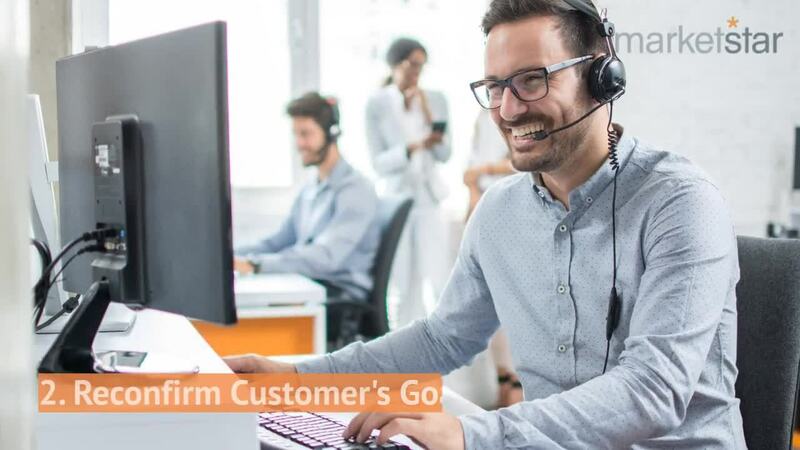 In addition to the notes in the CRM system, work with the full support team to give them a comprehensive understanding of the customer and his or her expectations. Share any problems and potential solutions you uncovered during the sales process. Explain which product or service features or functions are of the greatest value to the customer and why. Share any insights and personal data about customer contacts. Customer support should be seen as a seamless extension of the solution-selling process. Post-sales success also depends on achieving customer objectives, and that means having a clear understanding of the customer’s goals. Undoubtedly, by this stage, you have already developed an idea of what success looks like for your customer and you have shared it with the support team. However, customer needs change, so you want to reconfirm goals and expectations. Assess how you can help solve the customer’s problem. Be sure to ask about what failure looks like, as well as success. Establish short-term and long-term benchmarks. Also be clear about roles and responsibilities. Who owns the customer relationship, and whom should the customer contact for support? What is the role of the sales rep? Everyone needs to agree on areas of responsibility and a protocol for communications. As the sales executive, you shouldn’t be dedicating your time to account management; however, staying in the loop makes it easier to head off potential issues and may open up new opportunities to cross-sell and upsell. Unless you are making a one-time sale, you will need to continue to nurture your relationship with the customer if you expect to keep his or her business. A positive sales experience depends on making the customer feel important, making sure the customer is heard, and guaranteeing that the customer’s needs are met. That requires teamwork on your part and ongoing collaboration with everyone in the customer value chain, from support to billing. Customers gauge success by the value they receive for their money. If they see the value promised during the sales process extend into post-sales support, they will remain customers. In order to deepen these relationships, customers need to see ongoing value, such as more revenue or time savings; something worth the price of paying for more product or service. By continuing to deliver value after the sale, you will keep your customers happy and keep the door open for additional sales opportunities.